The 460 Rowland is the latest handgun to join Masterpiece Arms’ MAC-10 line. 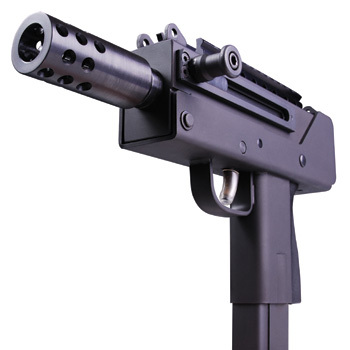 Masterpiece Arms has added the MPA 460 Rowland to its product line of MAC-10 firearms. These firearms are chambered for the 460 Rowland Round. The .460 Rowland round is a high performance proprietary cartridge intended to attain .44 Remington Magnum level performance in a semi-automatic pistol or carbine. 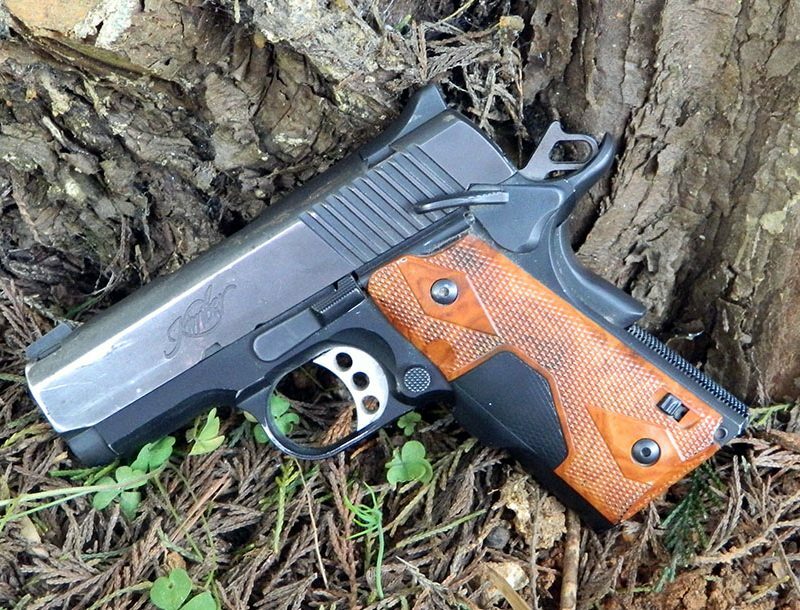 The overall cartridge length is identical to a 45 ACP, but the case length is 1/16” longer. The overall performance of the 460 Rowland Cartridge is nearly double that of a standard 45 ACP round. The 460 Rowland is offered in three varieties of firearms: the 6” 460 Rowland Pistol, the 10” 460 Rowland Pistol, and the 460 Rowland Carbine. The 6” 460 Rowland Pistol, or MPA460-10, is chambered for 460 Rowland ammo, has a 6” threaded barrel with muzzle break, scope mount, side charger and 30 round magazine. The MSRP is $579. Also available with extra 45 ACP Upper included for $669. 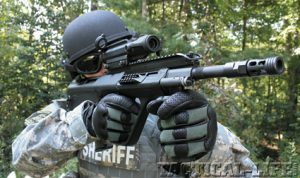 The 10” 460 Rowland Pistol, or MPA460-15, is also chambered for 460 Rowland ammo, has a 10” threaded barrel with muzzle break, scope mount, side charger, and 30 round magazine. Its MSRP is $675, but is available with extra 45 ACP Upper for $799. 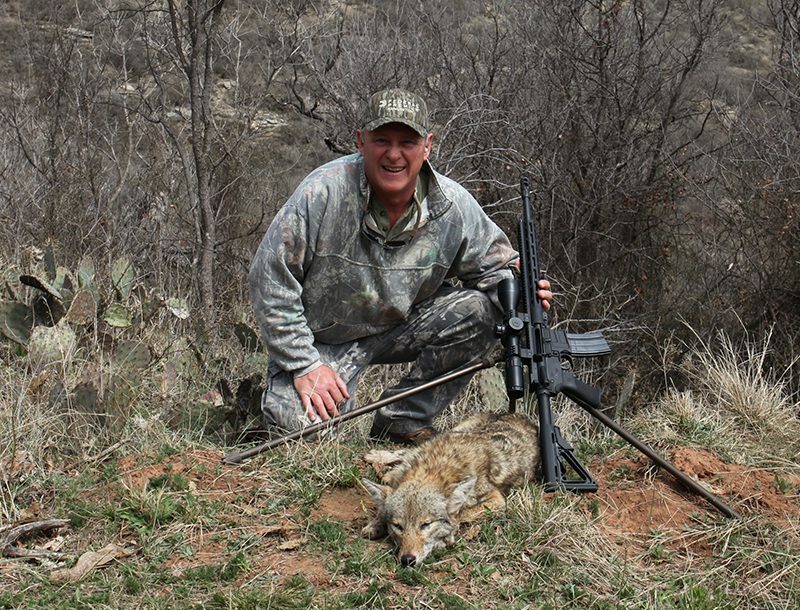 The 460 Rowland Carbine, or MPA460-1, is chambered for 460 Rowland ammo, has a 16” threaded barrel with muzzle break, AR-15 hand guard, scope mount, 2-7×32 scope with illuminated reticule, side charger, MPA low profile fixed stock, 30 round magazine, 1:16 barrel twist- RH, 3.8 lbs trigger pull, parkerized finish, American-made, Lifetime guarantee. The MSRP is $853, but is also available with extra 45 ACP Upper for $999.